1. Baylor Theatre offers an eclectic list of productions for students to enjoy throughout the year. This year’s schedule features five award-winning plays. (Click here to learn more about each play on the calendar.) 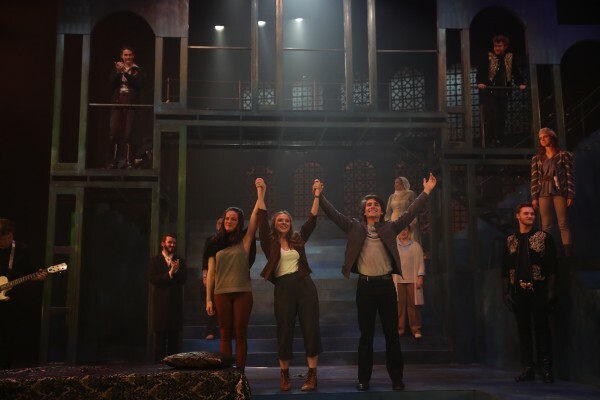 Baylor Theatre is ranked as one of the nation’s top 25 theatre departments, ensuring that students enjoy some of the best acted, directed, produced and designed productions on a college campus anywhere. Click here for ticket information. 2. School of Music Concerts also take place throughout the year and introduce students to an incredible variety of classical music. Symphony, jazz, chamber music and more is performed by Baylor’s exceptional music students. Many concerts are free, and take place in Baylor’s stunning performance halls. 3. Waco Symphony Orchestra performances are some of the year’s biggest events in Waco, and students don’t have to leave campus to enjoy the experience. Symphony concerts take place in Waco Hall, and feature some of the nation’s top musicians. This year’s schedule features trumpeter Chris Botti, violinist Corey Cerovsek, and even a narration by Happy Days actor Henry Winkler. Baylor Music professor Stephen Heyde conducts the orchestra, which features many Baylor graduates. Click here for ticket information. 4. Mayborn Museum, right across University Parks Drive from the Visitor’s Center, is a natural science and cultural history museum that attracts visitors from across the country. Their largest exhibit is on display now: Titanic-The Artifact features more than 150 Titanic artifacts and takes visitors inside the fateful trip. Students may purchase discounted tickets for $6. 5. Martin Museum of Art has long been a destination for art-lovers on campus, and students will be able to enjoy it again this year after extensive renovations. Martin Museum’s latest featured exhibit is John James Audubon: Life, Work, Legacy, featuring the art of the renowned painter and naturalist. Admission to the museum is free. There’s something for everyone, and these pieces of campus culture also present great opportunities for students and parents to have fun together. Encourage your student to see a play, hear a concert, or visit an exhibit, and come enjoy it with him or her as well. These events are great ways for students to take a break from studying while still learning, growing and enjoying the rich talent this campus has to offer.